Warner Bros. has tapped funnyman Dax Shepard to write, direct and star in the big screen adaptation of CHiPS. Michael Pena is also set to star as Ponch. 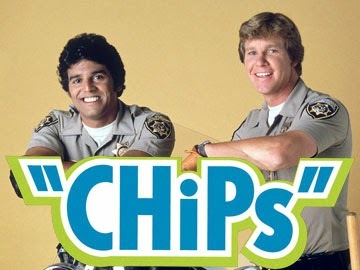 Warner Bros has set Dax Shepard to write, direct and star in a screen version of CHiPS, that TV series that ran from 1977-83 and featured two officers who patrolled the highways of California armed with motorcycles and the tightest khaki cop uniforms in television history. Shepard will play Officer Jon Baker (played in the original by Larry Wilcox), while Michael Pena is attached to play Frank “Ponch” Poncherello, the role Erik Estrada originated. Rick Rosner created the NBC series.